December 2011: Can I feed a family of 5 for $450/month? Amount left after last grocery shop: $54.01 - 33.55 - 8.55 = $11.91 left for the rest of the month. After making my menu plan for the rest of the month, I went back to the store (been doing a lot of that this month for some reason...not planning as well, I suppose). Total from last update: $104.68 - 50.67 = $54.01 left for the rest of the month. I anticipate needing to purchase milk, possibly eggs, and produce before the end of the month. With just under $105 left in my grocery budget for the rest of the month, I am sitting down and writing a menu/snack plan. Smart idea, as the kids will be home for their school break. Went to the grocery and the health food store the other day. Total from last shopping trip $135.60 - 12.95 - 17.97 = 104.68 left for the rest of the month. I recently got some Better Batter Gluten Free Flour from a friend. At first I tried using it 1:1 in my regular recipes that called for wheat flour, but that didn't work well for me. Not sure why. So, tonight, after depriving myself of holiday cookie cheer on a few fronts this week, I decided to try making some GF cookies. 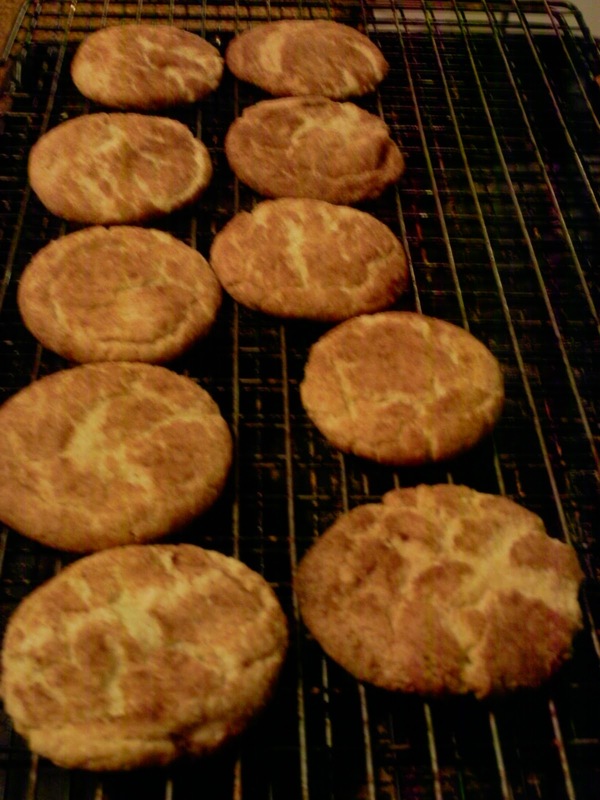 I decided on the recipe for Snickerdoodles on the Better Batter website. I followed the recipe exactly, with the exception of using Spectrum palm shortening instead of "regular" (GMO soy) shortening. Felt the need to go to the store. I've been hunting for a good GF pizza crust. One that didn't leave my eye twitching and my nose itching, that didn't gum up as I ate it, and that didn't leave me feeling like I'd eaten a ball of dough an hour after I ate. 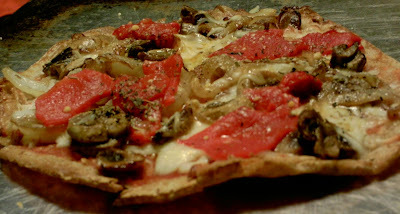 I picked up a box of 2 Nature's Hilights brand Brown Rice Pizza Crusts the other day at the health food store. I made one of them last night and so far they have been the best option I have found. They cost just over $6 for a pack of 2 crusts. I ate a whole one, though I could have stretched it out to two meals if I had something to eat besides just pizza the other night. The instructions say to defrost first, but I put the frozen crust in the oven while my family's pizza was baking and followed the instructions after that and it turned out great! It's not a "thick crust", but it's not exactly a thin crust pizza either. Once assembled, I baked it on the oven rack and it turned out wonderfully crispy on the edges and not very gummy in the middle (I could have baked it a bit longer to fix the slight gumminess in the middle--now I know for next time). The toppings I used to make my pizza this time were: 2 cubes of Basil from my freezer, olive oil, a blend of cheddar and mozzarella cheese, and nearly a whole 8oz package of fresh sliced mushrooms sauteed with some sliced onion and a large clove of garlic, sliced, and a sprinkling of sea salt. YUMMY! Ingredients on the crust are listed as: Whole Grain Brown Rice, Potato. Since there is a simple ingredient list and no yeast, I think this might be a possible corn-free product. At any rate, due to the simple ingredient list, I would classify this as a Real Food. 12/30/11 Note: Based on others' experience with this crust, you might want to overcook the crust/pizza a bit (longer than the instructions on the box suggest to minimize the "gummy" factor). Do watch it closely, though, so it doesn't burn! Today I made my list of things I will need between now and the end of next week and went to the local grocery and the local health food store. Total left from last week's shop: $277.53-$36.33-$70.05= $171.15 left for the rest of the month. 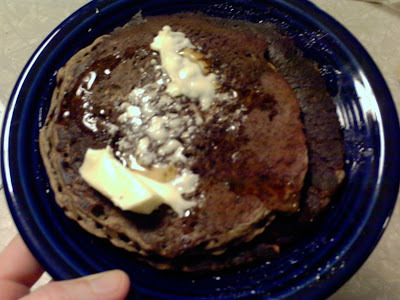 I pretty much followed the instructions, with the exception of substituting a heaping 1/2 cup Buckwheat Flour for the 1/2 cup Buckwheat Groats the recipe calls for and subbing butter for oil. I adjusted my liquid as needed and followed other instructions as listed. Blend for a minute or two until combined thoroughly, adding water as needed to keep a vortex going in the blender. Heat your griddle and cook. Serve with maple syrup and butter or your choice of toppings. The kids ate without complaint until I asked how they were, and of course they said that their aunt's pancakes were better (from a mix). I need to learn to quit asking and assume that if they are eating it, it's acceptable! This recipe was enough to feed myself and the three kids breakfast before school, but if it was a Saturday morning and my hubby was eating them too, it wouldn't have been enough by itself. 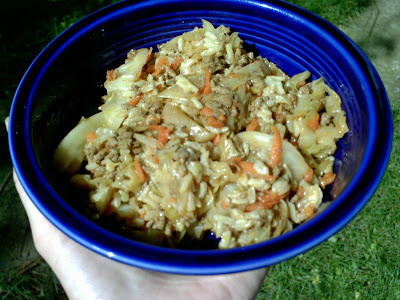 Still, it worked great and I can very easily double the recipe! I'm thinking next time I will see how well it works for waffles! When someone is newly diagnosed with food allergies/sensitivities/intolerances/what have you, they often start with a "I can't have XYZ." outlook as they think about what they will be eating from day to day. Today's food stores are packed to the brim with food, but if someone has a list of ingredients they can't eat, shopping can quickly become a discouraging chore as many foods are taken off the plate. I know that I often felt very deprived during my year of avoiding so many foods and found it to be quite depressing. I would like to encourage the thought of "I can't have XYZ." to become more like "Look at all these things I *can* have! ", because that thought is much more positive, and opens up a realm of possibilities. Awhile back, I found a helpful source of information that has opened up some new food options: Meijer.com. I'm not sure why I waited this long to share it! I would recommend sitting down with the list and making your own list of foods that you *can* have, and working from there to add some interesting flair to your diet. When striving to eat Gluten/Top 8 Allergen Free, it can be hard at times to read food labels and know for certain whether a product contains something you are trying to avoid--there's just so much to watch out for, it's overwhelming! One way to simplify things is to avoid processed foods (and even then it's still hard to avoid certain things), but it's also nice to have a list of safe items to have on hand for a change of pace. One excellent resource I have found is the Meijer website, Meijer.com. Meijer offers many helps to those of us who are dealing with food issues, the most helpful to me being the Meijer Brand Allergen List. Although Gluten is not technically a top 8 allergen, it is included on the Meijer Brand Allergen List, along with each of the top 8 allergens, Starch, and Phenyl. Meijer has generally been responsive to me when I've contacted them with questions regarding specific products in relation to allergies and derivatives (unlike some other store-brand attempts to find answers), but this listing simplifies the process. Of course, if you have allergies beyond the scope of the chart, you would still need to contact the company. And do still pay attention to labels, because they can change without notice. The way to get to the Meijer Brand Allergen List (rather than the link above) is to go to Meijer.com. Scroll down to the bottom of the page and under Do More, click Healthy Living. Then under Special Diets, click Meijer Brand Allergen List, and then click View the List here. If you are only looking to avoid Gluten, you can simplify your search by going to the Meijer Brand Grocery Gluten-Free Products List. There is also a Meijer Brand Gluten-Free Drug Store Product List. If you don't have a Meijer store in your area, you are probably thinking you read this post for no reason. Have no fear--it's not all for naught! Peruse the Meijer site a bit further and Under Special Diets is a Gluten Free Resources listing, as well as a National Brand Gluten-Free Product List (last updated March of 2011). Many thanks to Meijer for making this information available to us! This mix has been a staple for me since the weather has cooled (and the cereal has gone on sale and I've had coupons). 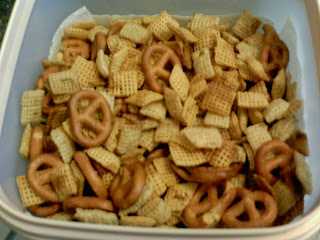 I altered the Kellogg's Crispix Mix recipe to make it Gluten Free. 1. Heat oven to 250*. 2. Put cereal and pretzels in a 9x13 pan. 3. Mix remaining ingredients, pour over cereal and stir. 4. Place in oven for 20 mins, stir, then put back in for about 30 mins, stirring after about 15mins. 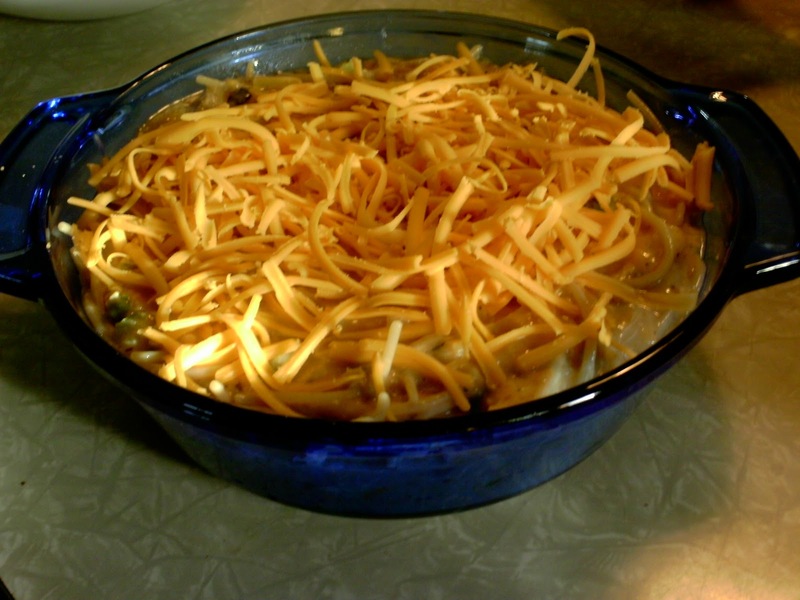 Tis the season for a bowl of comfort food. For me, that means Beef Stew. Here is the way I make it in the crockpot (spice blend curtesy of my mom's recipe). 1. 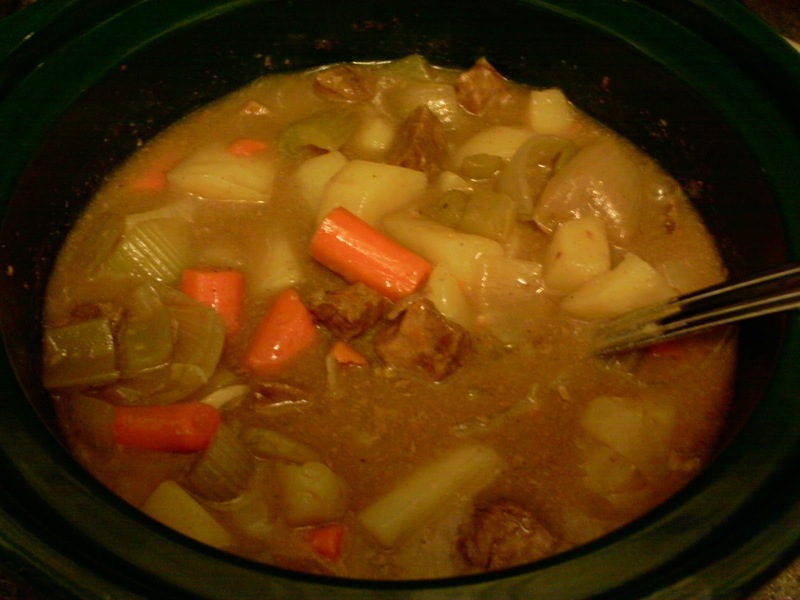 Fill crockpot about 3/4 full with about a pound of beef stew meat(ground beef works in a pinch--brown it first) and a mixture of potatoes, carrots, onion, celery and garlic. 3. Cover with water or GF broth--I used chicken or turkey bone broth from the freezer (or, depending on how much liquid you like, don't cover completely with water--but do add at least a cup or so of liquid), put lid on and cook on high for 4 hours or so(or longer on low). 4. If you would like to thicken your stew, mix about 1/4 cup gluten-free flour mix (the more starchy ones come in handy here) with a bit of cold water and stir into stew and let cook a bit longer until it thickens up. A different starch would work too (such as corn starch)--just be sure you don't use wheat flour or another gluten-y flour. Posting about my grocery purchases has kept me rather accountable, so I plan to continue keeping an online record for a while longer. In the interest of saving gas money (and avoiding impulse purchases), I opted to shop at our local health food store and grocery rather than to drive 20-30 mins to the larger stores. Menu plan for the month is Here. Having gone through my food stores to see what I still have on hand, I made up a rough menu for the month of December. Since I chose to shop local, I decided to only shop for this coming week and not to do a lot of stocking up unless stuff was on a good sale. Having done my menu plan and knowing what I have on hand gave me a pretty good idea of what to put on the list. Beef Stew with GF biscuits if I can find a good recipe to use my Namaste or Better for Batter flour mix in...or just with garlic toast (regular for the fam/Udi's for me). Beef Liver (that I have yet to figure out how to cook, lol), Homemade Mac and Cheese of some sort because I doubt the liver will go over well (hehe), Broccoli, Potatoes? Breakfasts will be what's left of the cereal, Bagels from the freezer, eggs and bacon, pancakes, Oatmeal/other hot cereal. Snacks are: Carrots, Apples and Cheese, Oranges, Popcorn, Granola Bars, Chex Mix (that I need to make from cereal left from last month), and maybe some Muddy Buddies/Puppy Chow made from Chex as a treat. Monster Cookies, when I get around to making those. Pudding cups or homemade tapioca pudding or maybe rice pudding. I went to the local health food store to pick up some of their pastured chicken eggs (which I love). The eggs they carry are from a local farmer and well worth the extra $1 they cost when compared to "regular" storebought eggs. Turns out that the chickens have quit laying, though! The farmer even bought more laying hens to help remedy the problem, and those hens have also quit laying! It's a bit early for chickens to quit laying, especially with our so-far very mild and warmish weather for this time of year. In talking further with one of the health food store workers, their chickens had also molted early and are not laying much at all. She had thought this was due to not having heat/light on in the coop, but her friend's coop has light and heat and even she is having this problem. Also, it seems an Amish family semi-locally has observed this same problem. It seems that the chickens molted not too long ago, had a little break, but now are molting yet again (and laying hardly at all). I think I got the right details with the right people up there. At any rate, this is a strange thing to have happen to so many different flocks at the same time! ~or if they're doing an animal survival thing of reserving their energy for the (supposed) long winter ahead? Has there been an farm-fresh egg shortage in your local area? A pic from Memory Lane....back when I had chickens...and my own eggs! 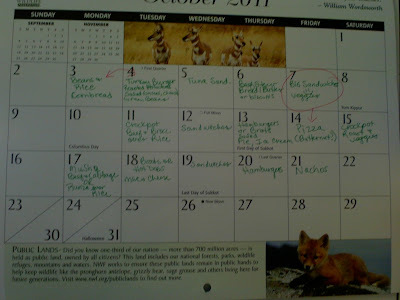 November 2011, Week 4+: Can I feed a family of 5 for $450/month? Of course, hubby says "there's nothing to eat". We aren't anywhere near going hungry, though. We just don't have much easy-to-grab-and-eat stuff around. And I'm out of easy proteins for him, such as cheese sticks. Being "out of regular food" isn't bad overall, though. If we're truly hungry, we can eat an apple, orange, carrot, bowl of cereal(hot or cold), popcorn, nut butter or tuna sandwich...etc. To me, that is still food. Looking forward to going to the store, though! But not today as planned...sick kiddo. Menu planning for next month and hopefully shopping soon. Has anyone found these postings helpful? Is there any other info that you are curious about pertaining to the topic at hand? Growing up, I remember always having the classic Green Bean Casserole for Thanksgiving or Christmas. I decided to bring it to Thanksgiving if I could figure out how to do it Gluten-Free. 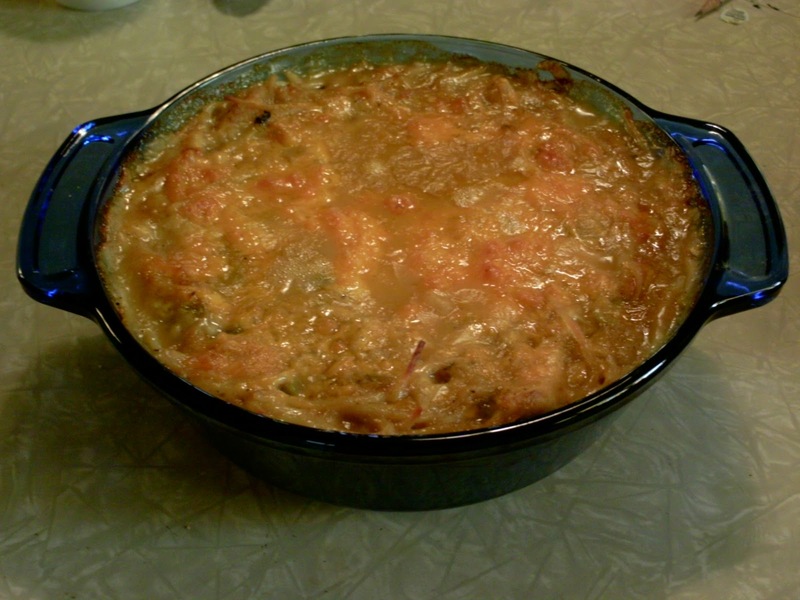 I was directed to Gluten Free Mommy's Green Bean Casserole, which looks very promising. 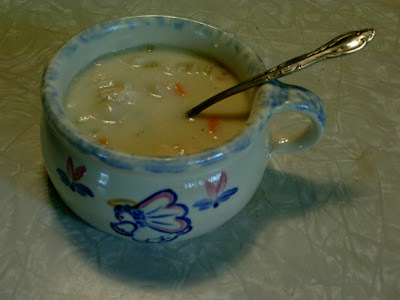 I think I will use it to work off of, using my Pacific Foods Cream of Mushroom Soup that is gluten-free instead of making soup from scratch. I think I will still saute some mushrooms to add to the green beans though. And I'll use a gluten-free soy sauce...maybe...not sure I will need it really. The other problem I had to solve was the substitute for French's Fried Onions (man, I loved those things! ), since they have gluten in them. 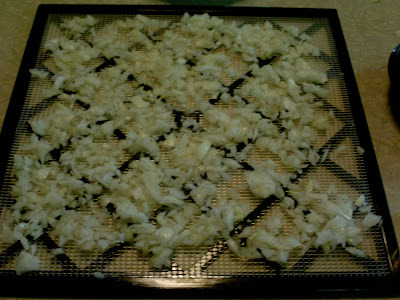 I read the instructions by Gluten Free Mommy as to how she makes French Fried Onions and went from there. I refuse to go to the store for more oil, so I was stuck using Ghee (expensive, but I've been wanting to use it up this month anyway...). I got out my smallest skillet and only did one onion, sliced thin. The flour I used was the end of the package of Bob's All Purpose Flour Mix and Better Batter Flour Mix, salt and pepper. Let me tell you, these things are delicious! 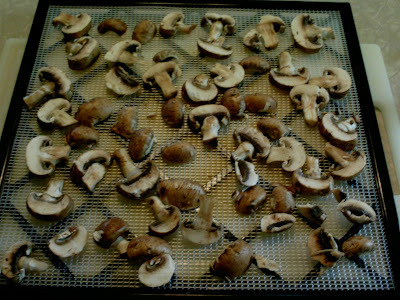 It's all I can do to NOT to eat them before making the casserole tomorrow! I better hide them from the hubby and kids! 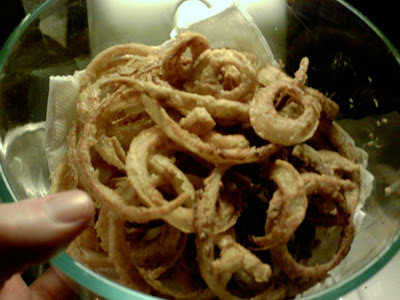 Final Product: French Fried Onions! 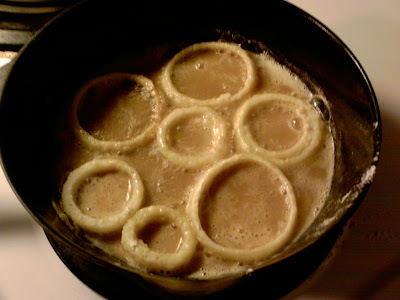 November 2011, Week 3: Can I feed a family of 5 for $450/month? So, last week I was left with $48.17 left for the month. Well, I had to return the Black Jewell popcorn I purchased earlier this month. I popped some up for myself and the kids, and it had an odd smell to it....turns out it was moldy or something. At first it smelled like corn on the cob smells when you are shucking it...but it got worse when it was popping...on closer inspection of the kernels left in the container, there were little white hairy things around the tips of the popcorn kernels. Ick! I've purchased this popcorn in the past and not had any problems. I'm not sure what happened. At any rate, it belongs to the store now. So, I returned the popcorn, which raised my total to $55.66 left for the month. And....then I went shopping. With a list. And it came to $53.03. ~Honeycrisp apples (ok, these were a splurge--tired of Red/Golden Delicious blahness) $6.20 for 5 apples (!) but better than soda, chips, or fast food, right? Which leaves me with $2.63 for the month. I think the only thing I may absolutely NEED to get before the end of the month is eggs. The pastured eggs cost more than what is left of my food allowance for the month, so I may end up going to the local grocery and getting a dozen to tide us over. That is, if my husband and I eat through the 10 eggs we have in the fridge between now and the end of the month. And if I do any baking. Although, this may be a good time to try some egg substitute options. 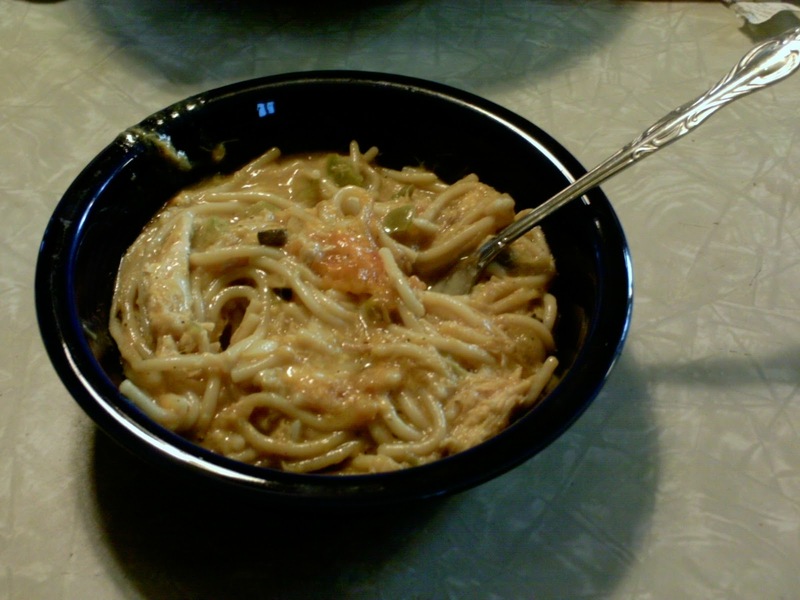 November 2011, Week 2: Can I feed a family of 5 for $450/month? As promised, I am updating with my menu plan, as well as another shopping trip to "big town" while I happened to already be there getting some other needs (why does softener salt have to be so expensive in the town closest to me?). 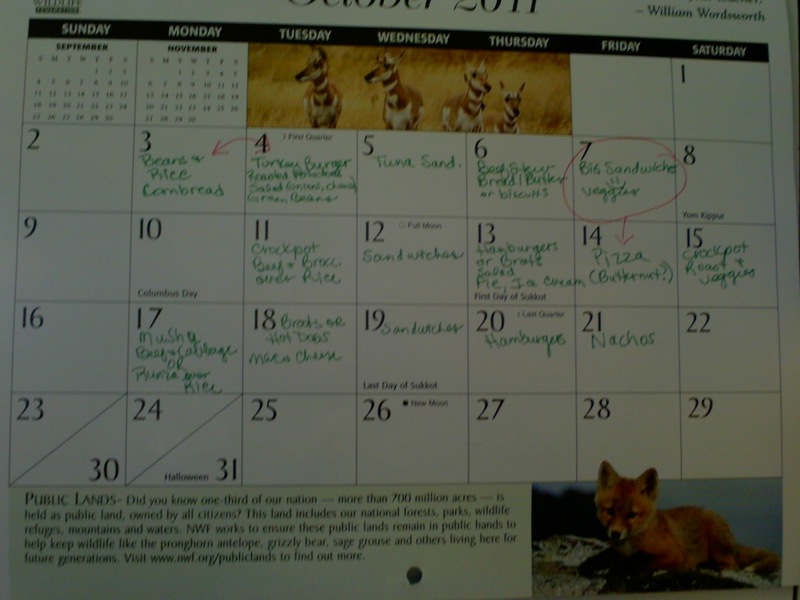 I have pretty much everything I need for the main menu for the rest of the month. I suspect I will need to buy milk, lettuce, and perhaps eggs by the end of the month. And maybe some loss leaders if I feel I might have enough for that. So...total left from last shop $243.87 - $53.60 - $41.44 = $143.83 left for the month. I will work on my menu for the rest of the month and post it soon! Updating today on spending since the last post on this topic. I went to the health food store, Dollar General, and the deep-discount grocery store. This store doesn't label the items on the receipt and I just put stuff away w/o writing it all down. Off the top of my head, we got: 4 boxes granola bars, 3 bags Lenders bagels, 4 bags mini whole wheat bagels, 2 boxes LIFE cereal, 3 jars of organic juice, a pound of butter, 5 8oz bags shredded cheese, box of frozen corn dogs, 3 lbs dried black eyed peas(for hubby to plant next spring), soy sauce, sweet and sour sauce, 1 small can Bush's Baked Beans, 2 lbs brown sugar(Domino), 2 pkg Kraft Singles (though I thought I'd put 3 in my cart, as well as a can of Ready-Whip), mini marshmallows, and a can of International House of Coffee mix. There are some good loss-leader deals at the local grocery that I might pick up this week, along with Tortilla chips... and I will probably need to get more milk by the end of the week as well. Last year, I posted a recipe for Healthier Homemade Hot Cocoa Mix. 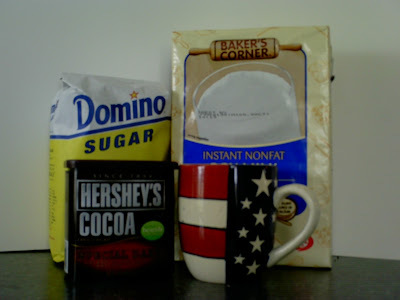 Today, I am posting another recipe that I think I like even better--especially since I can't find the Ghirardelli Hot Cocoa Mix now. In my experience, most homemade cocoa mixes seem to not mix up very well in the cup, and little bits of stuff end up floating around and leaving a mess in the cup when you are finished drinking. I have been making this particular recipe for hubby since January, using regular cocoa and Splenda instead of sugar for his low-carbness (I know, *sigh*). When I made it the last two times I used the Hershey's Special Dark Cocoa (more antioxidants and all that jazz). Hubby informed me that his cocoa no longer had clumps--I am glad he informed me, or I would have never known to share! This morning, I made myself an experimental cup using sugar instead of Splenda and it came out wonderfully! Measure the above into a suitable storage container (I used an old cocoa container). Put the lid on and shake to combine. Use about 3 TB per 12 oz. cup, or to taste. I like to measure my dry mix into my cup, fill the cup just over halfway with hot water and stir it up, then top off with milk to make it creamier. Combine 4 teaspoons powdered milk, 2 teaspoons Hershey's Special Dark Cocoa, and 2 teaspoons of sugar in your cup, add hot water (and milk, if desired). Stir and enjoy! November 2011, Week 1: Can I feed a family of 5 for $450/month? It's the start of a new month! Let's see if I can manage to feed my family of 5 for $450 this month! I have gone through my cupboards and written a rough menu for the next two weeks. I have looked through the sales flyer for the local grocery store and written down the best deals for our family. I have written the grocery list with the items from the sales flyer that I plan to get, as well as the other items I need to fill out the menu. I went to the grocery store today. I will probably go to the health food store later this week/early next week to get a few items that I can't get at the local grocery store. ~Roasted Chicken Thighs/beets/squash from the garden/mashed potatoes? Since today marks the beginning of a new month, I decided to update my readers on how I am feeling allergy-wise since my last BaxAura appointment. I feel very good lately! I am still doing the gluten-free and tomato-free thing, and I feel that it is paying off and helping my body to further heal. I am trying to stay on top of taking a probiotic (preferably in the form of homemade kefir) fairly regularly, and have also been taking digestive enzymes when I feel the need, which do wonders. I even ate out last weekend and did not have any repercussions!